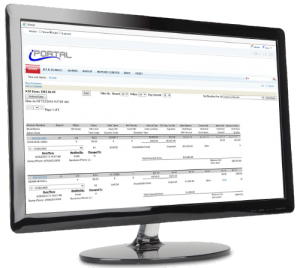 Online Real-Time iPortal Solution | Automated Systems, Inc. Automated Systems, Inc. offers a bank portal solution specifically designed for community financial institutions. The Insite iPortal™ facilitates collaborative communication and seals the gaps between operators, management and directors. As the bank Intranet site, iPortal creates an efficient, easy-to-use application for all bank personnel. Report Center is an efficient report management tool. One of the time-saving features is the personalized favorites list which provides you access to select reports from your desktop. Required reports are automatically added to a required list for your convenience. These lists provide quick access to your most frequently used reports. The system also records who has viewed which reports and allows employees to sign off on required reports. This feature records which reports have been viewed and which haven’t. The ability to keep a log makes it possible to show examiners an audit trail of exactly when a report was viewed and who signed off on it. All of the reports generated by the Insite Banking System are available within Report Center including On Demand and Archived. Just as Insite can store and retrieve data from multiple data areas, iPortal can also display reports from multiple areas, for example: end of month, end of quarter, end of year, etc. You can also use Insite Explorer to create custom reports using data queries and a user-friendly drag and drop interface. The optional addition of iDirector, leverages iPortal’s role as the center of an organization’s reporting and exception handling environment to provide a vibrant, accessible meeting environment with real-time connectivity to all reports, ensuring clear, effective company-wide communication and management. 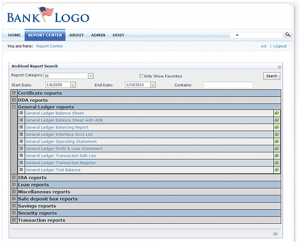 The Report Center extends the functionality of reports from the Insite Banking Core by allowing you to search reports for text, sort reports by column, and assign reports to specific staff. The integration between Insite and iPortal extends to the login credentials. The login information and security permissions for Insite are the same in iPortal. The integrated security allows for a single permission setting to affect multiple access points. The reports can be exported into different formats including Adobe PDF and Excel among others. It also uses Insite’s security settings to determine whether a user has access to a particular report. iPortal is integrated with Insite and Check Imaging allowing you to view the check images from each transaction. The iPortal Report Center includes an interactive report feature that allows banks to reduce hard copy reports and distribute decision making processes such as daily NSF processing. The interactive NSF report enables personnel to make decisions even when employees are distributed among multiple bank branches. iPortal combines reporting and communication into a central, accessible, web-based application featuring unlimited potential for adding content relative to community financial institutions. Customizable functions include calendars, document sharing, Internet Favorites, easy management of bank announcements, weather reporting, and the ability to present other websites within iPortal such as the Online Banking Administration Site. 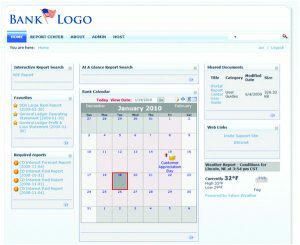 Bank users may also customize logos, styling, and color schemes to truly create a unique internal Intranet home. The Insite iGoPortal application uses the efficient reporting tools from iPortal and lets users take them anywhere. Data is never saved or hosted on the device. 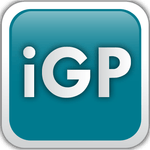 iGoPortal uses a secure network with login credentials to authenticate the users data. 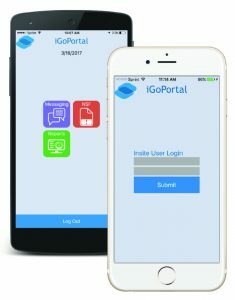 iGoPortal allows users to view required and favorite reports that have been saved to the core, along with any required reports that have been assigned to bank employees. Users can click on any report to get a more detailed view, including a zoom tool for a closer review of the data. Employees also have the option to sign required reports on the go. While on the go, bank associates can use secure messaging through Insite to communicate with others inside the iGoPortal application. View interactive NSF reports with the ability to make decisions on all or individual items. This connects directly to the core, allowing any decisions to made in real-time. It also allows users to view a customer’s name, account, and the number of items they have waiting to be reviewed. Take reports anywhere with the peace of mind knowing that the data is secure and private.